^ James Marshall (7 July 1948). 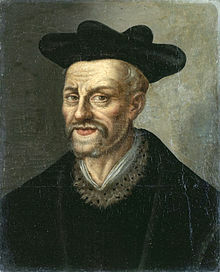 "Rabelais on Syphilis". Nature. 162 (4107): 118. doi:10.1038/162118a0. ^ Jacques Julien; Susan Baddely (April 2016). "notice John Palsgrave" (in French). CTLF. Retrieved 17 November 2018.